#1 – Your race day is determined by your age on 12/31/2019, not your age on race day. #2 – All entrants must agree to the USAT waiver in addition to the event waiver. #3 – Each entrant, whether individual or relay person, must be a 2019 USAT member. If the entrant is not a 2019 USAT member, they may purchase a 1-day USAT license at a cost of: $15 for persons 18 and older and $10 for persons 17 and under. 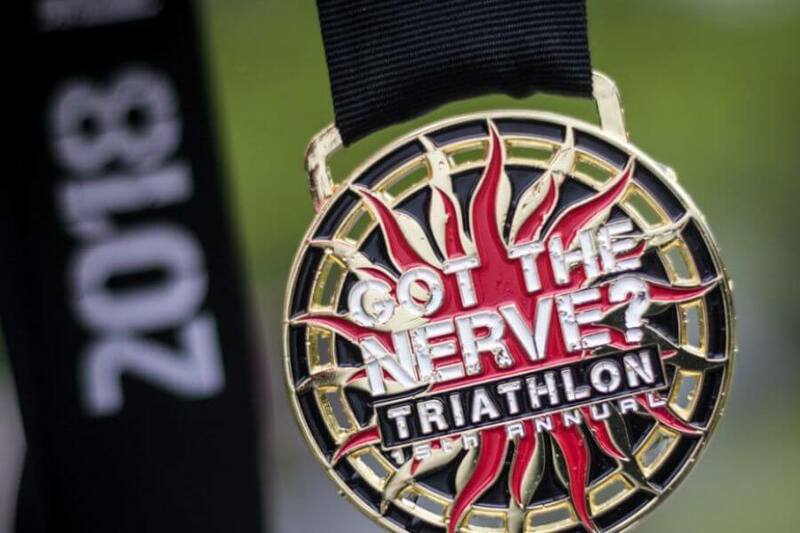 If you registered for the event before Got The Nerve became a sanctioned USAT event (prior to January 17, 2019) you need to update your USAT status. To take care of this matter now before race day and to save you a lot of time standing in a long line on race day, we have set up a way for you to do this online. #1 – Go to: https://register.chronotrack.com/r/40645 and log in as you did when you registered for the event. #2 – From the list of registration choices, select “USAT Info – Entry Before 1/18/19” as your registration choice. #3 – Agree to the USAT waivers. #5 – Proceed and checkout – if you entered a USAT number then your check out fee will be $0 – you still need to click on the submit icon. For relay teams – each relay member must complete the above process. If you have any questions or need help going thru the online form, please contact us during normal business hours at linmarksports@linmarksports.com or 856-468-0010 – we will be glad to help you. Thanks again for your participation and support of this very special event.